The model - details of this and the Citybus model carrying the same livery were first published on 3rd January 2011. 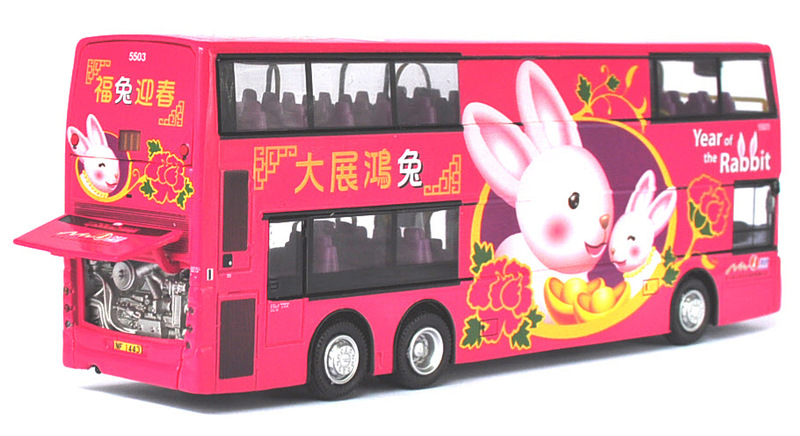 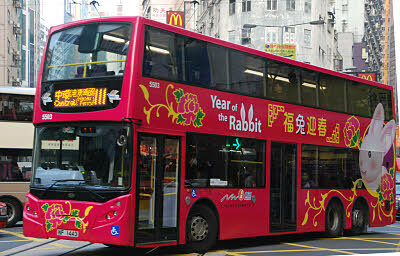 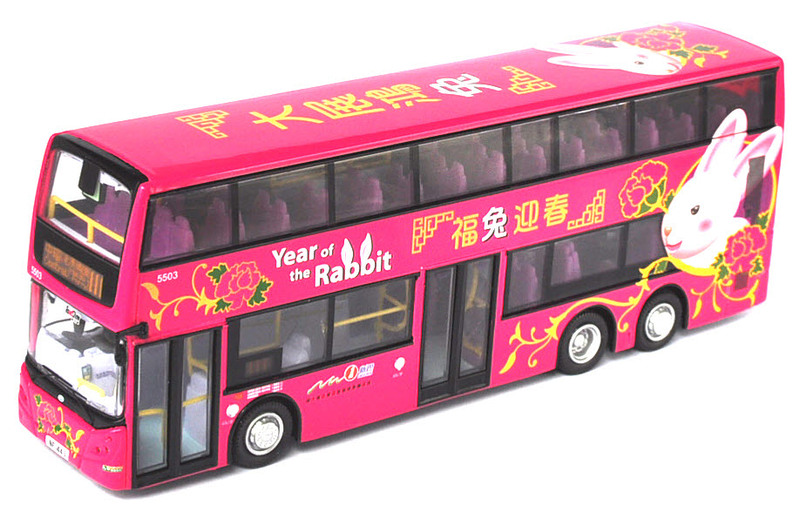 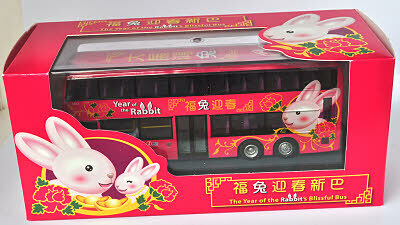 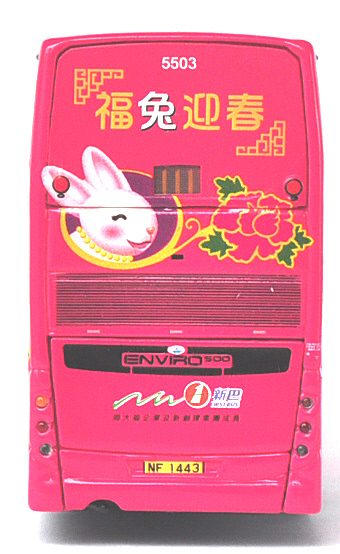 The actual vehicle carrying the Year of the Rabbit livery was noted on 6th January. 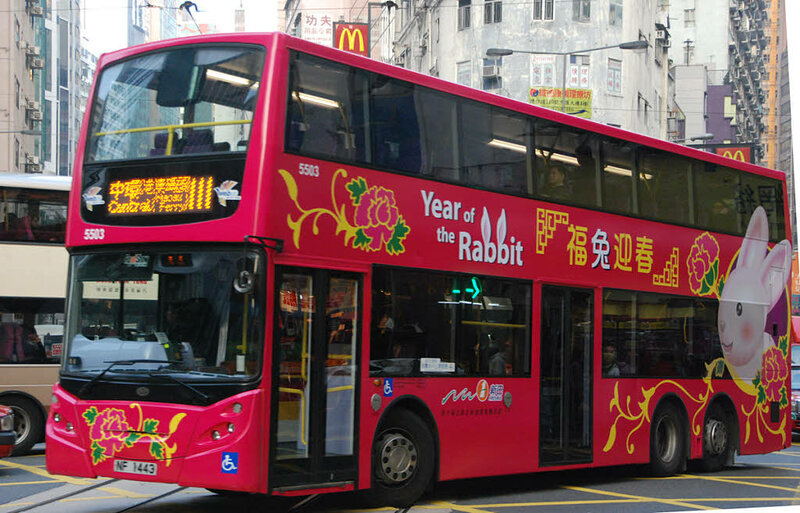 The bus - 5503 was one of a batch of 18 Alexander Dennis Enviro500s that entered service between February 2008 and June 2008. 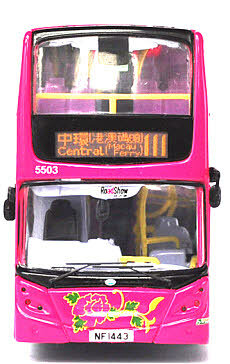 The bodies were shipped to Hong Kong in kit form and assembled by NWFB/Citybus.